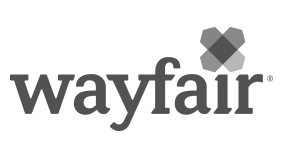 We are Wayfair; we deliver a best-in-class customer experience in the furniture and home space because of people like you, who are driven, determined, collaborative, and thrive in a fast-paced environment. In order to maintain our high level of delivery standards and meet our customer’s needs, the Wayfair Distribution team plays a key role in improving customer satisfaction and driving repeat business. We’ve been busy building a best-in-class logistics network that allows us to delight customers by speeding up deliveries, adding services, and reducing damage using our own physical, asset-based warehouses. We are looking for talented hard-working individuals to join our growing team – your professional home awaits you at Wayfair! Forklift drivers, Electric Palette Jacks & Clamp Operators will utilize equipment to move product and put away in proper locations.